Saturday mornings are a treasured time for our family. As a parent, it’s a time to sleep in well past the first alarm clock. One of these days I’m going to stop setting a Saturday morning alarm. For the kids, it’s a time to wake up early and visit the playroom where Legos come alive and Paw Patrol stories are reenacted. I love hearing the giggles and even the occasional problem solving endeavors that come from that room as I pretend to get just five more minutes of snooze time. I desire to carry these memories with me as the kids grow and our life and activities change with the seasons. After the playing has ceased and I finally pull myself away from the covers, breakfast is always the talk of late Saturday mornings. 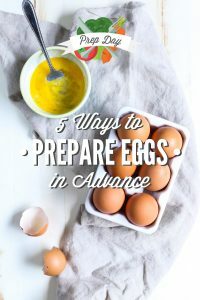 Monday through Friday I prep most of our breakfast meals in advance: muffins in the freezer, hardboiled eggs in the fridge, breakfast burritos in the freezer, smoothie packs, omelet cups, etc. 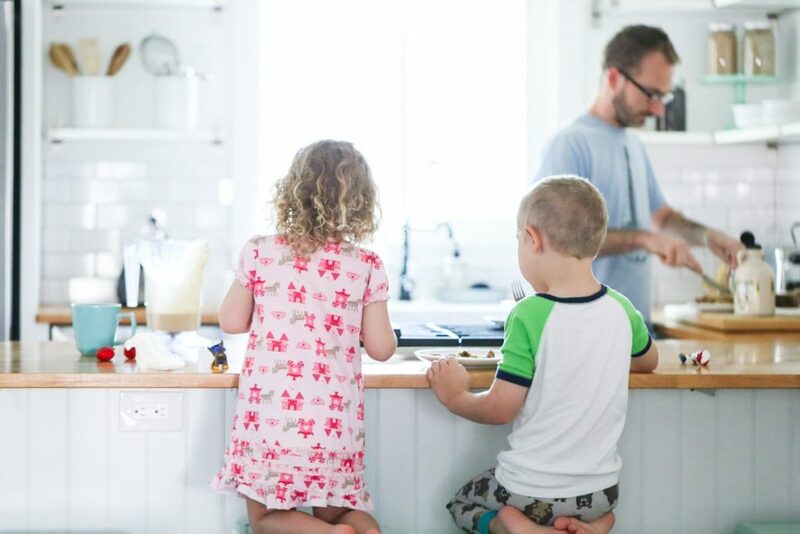 Saturday mornings are reserved for something special, a breakfast that requires time and conversation as a family around the kitchen bar and oven. 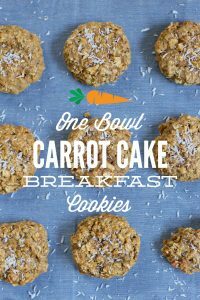 I love a good wheaty (let’s pretend that’s a word ;)) baked good like pancakes or muffins, particularly in the fall (which usually hits Florida around November) when the early morning temperatures are cool and the coffee is hot. 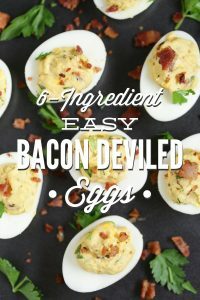 While baked goods are usually the family breakfast choice, I like to change our menu every other week with something easy, but flavorful. This may be an omelet with roasted seasonal veggies, a frittata or quiche, or a sausage and potato hash. 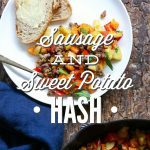 Sausage and Sweet Potato Hash is by far one of my absolute favorite Saturday morning breakfast meals in our rotation. The hash starts on the stovetop and then finishes off in the oven. 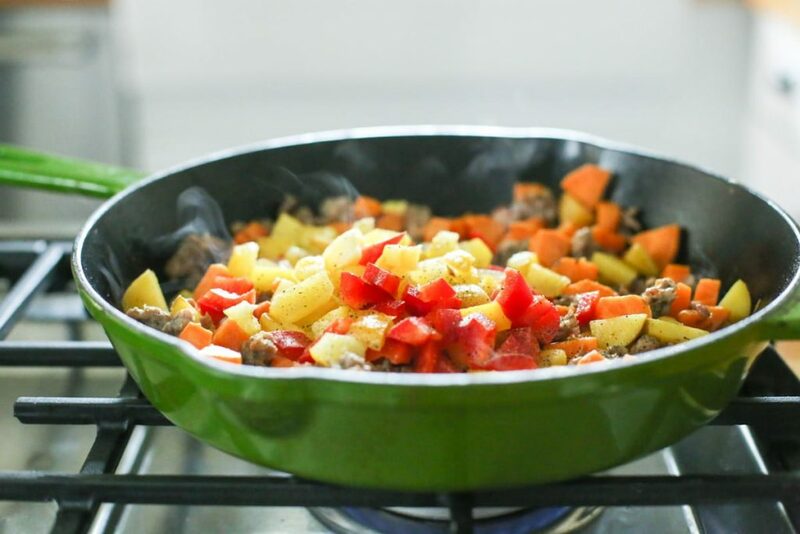 The end result is a warm skillet filled with crispy sausage and softened potatoes. 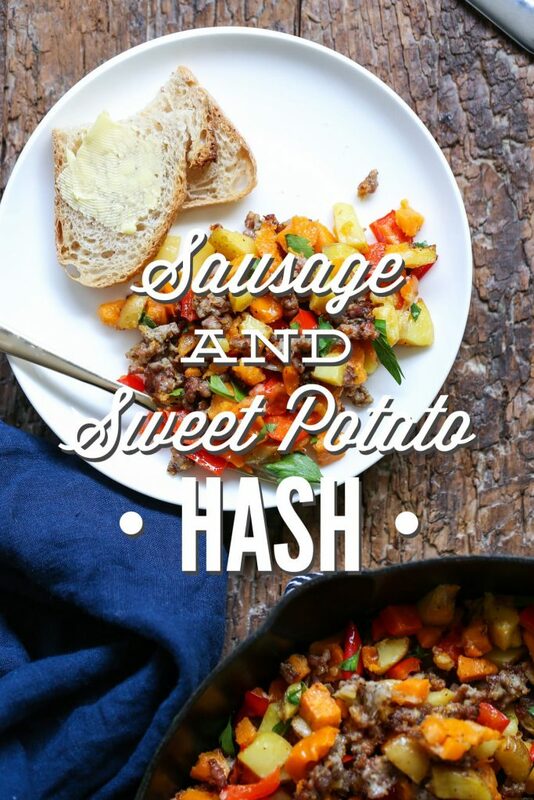 In the fall, I modify our favorite hash by adding sweet potatoes along with the traditional white potatoes. The combo is heavenly, in my Saturday morning breakfast opinion! And when paired with a mug of freshly brewed coffee from the Chemex and homemade maple coffee creamer (recipe is coming, my friend! ), a fried egg, and toast…no words, no words! Take me there. Since today just so happens to be Saturday, I must say good-bye for now. 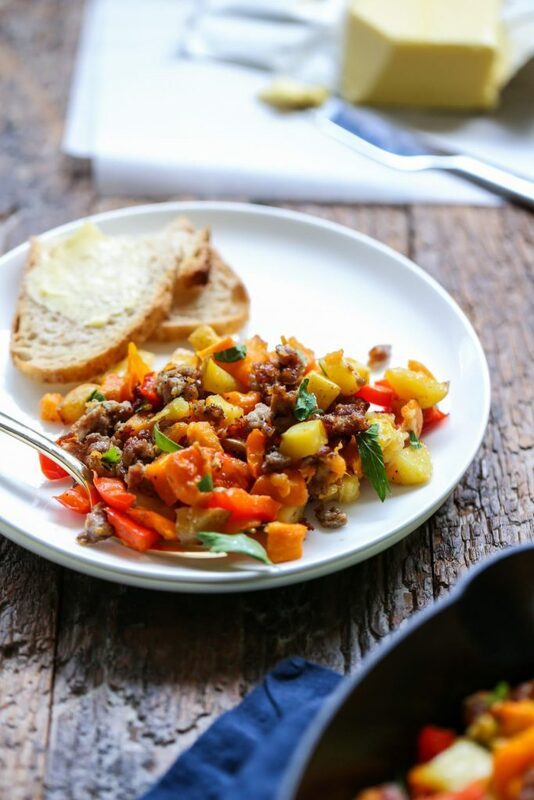 Giggling children, a sleepy husband, and a warm skillet of sweet potato hash await. Happy Weekend! 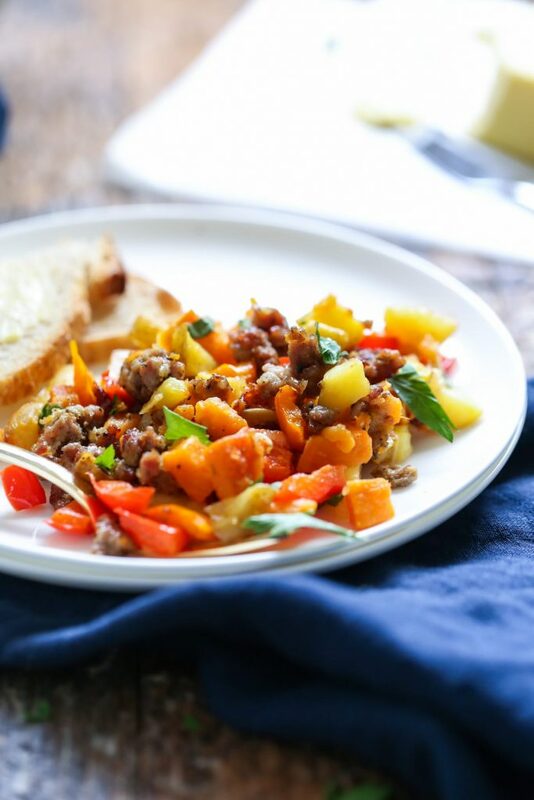 Sausage and Sweet Potato Hash is by far one of my absolute favorite Saturday morning breakfast meals in our rotation.The hash starts on the stovetop and then finishes off in the oven. 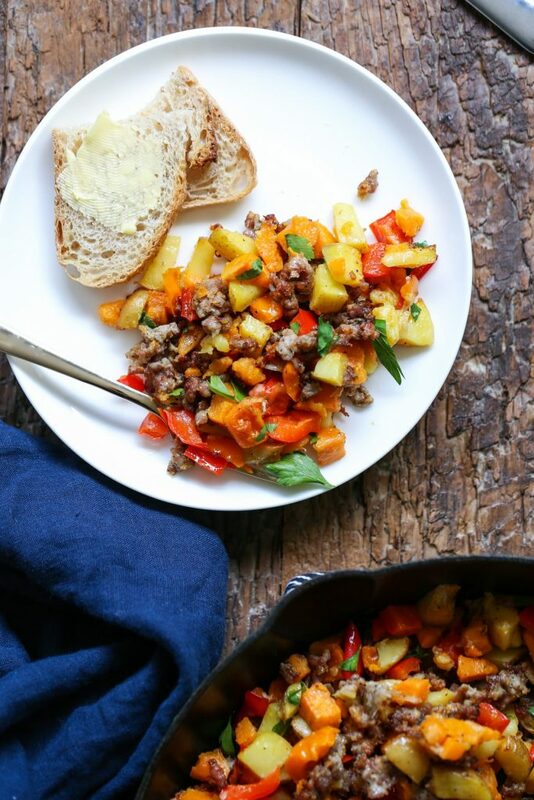 The end result is a warm skillet filled with crispy sausage and softened potatoes. 1/2 lb pork sausage I purchase ground "breakfast sausage" at my health food store. Chorizo is also delicious and adds a spicy twist. If the sausage is wrapped in casing remove the casing and crumble the sausage with a potato masher or wooden spoon while in the skillet. 2 cups diced sweet potatoes about 1 sweet potato, I like to peel the sweet potato before dicing, but that's completely up to you. 1 cup diced potatoes about 2-3, I like red or yellow potatoes, and leave the skins on. 1 pinch salt and pepper You can add more salt and pepper once the hash is plated. Depending on your sausage you may need more or less. In a large skillet (I suggest cast iron for cooking so the hash doesn't stick to the bottom of the skillet), over medium-high heat, heat 1 tablespoon of oil. Once warmed, add the ground sausage and cook just until no longer pink (about 5 minutes). Pour the sausage into a separate bowl, and set aside. The skillet should now be seasoned thanks to the sausage. Return the skillet to the heat and add the remaining 1 tablespoon of oil. 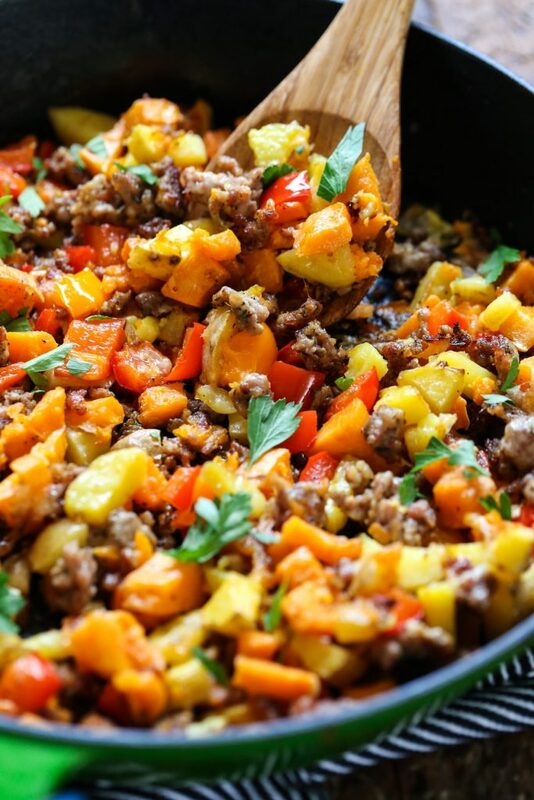 Once warmed, add the bell pepper, sweet potato, and white potatoes. Cook the veggies for about 10 minutes, stirring often. Add the sausage back to the skillet and stir to combine. Place the skillet in the oven. Bake the hash for 25 minutes, until the potatoes are soft. Remove the hash from the oven and sprinkle with cheese, if desired. The cheese can be skipped. My family loves cheese with a hash and eggs. Serve the hash warm with fresh herbs for a garnish (if desired), toast, and eggs. Kristin, this is DELICIOUS!!!! Yum, yum, yum! I will DEFINITELY be making this again. So simple, yet so good! I added in some butternut squash and an onion because I had them and served with scrambled eggs for “breakfast for dinner.” Our family is dairy free and we didn’t even miss the cheese. Thanks for the excellent recipe! 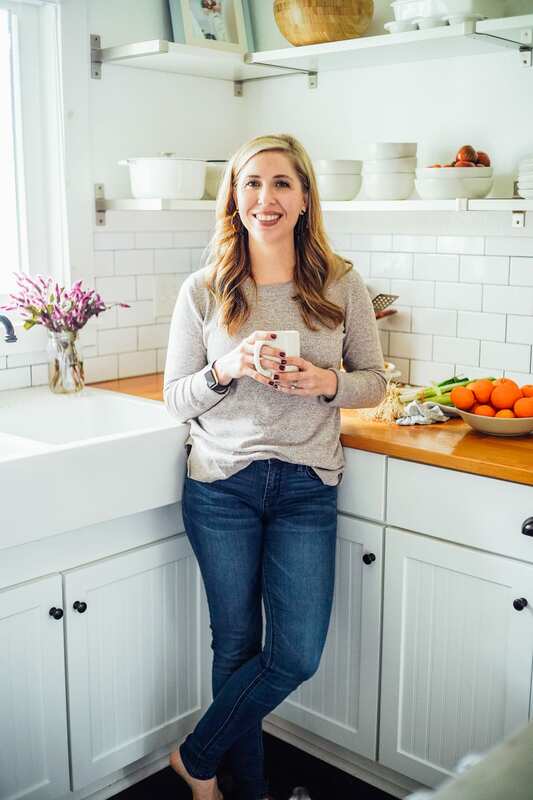 Kristin, I hope I can still comment on this delicious dish. Such a winter night comfort food!! We had it for our evening meal tonight. (I have served it many times, although never as a breakfast.) I love the ease of preparation, and it truly is very tasty!! We always have my homemade sourdough, toasted, as an accompaniment. Leftovers are always welcome! Yum, Virginia! What a great meal. 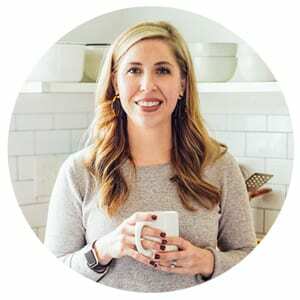 Thank you for sharing and coming back to rate the recipe. I wanted to give this recipe 5 stars. 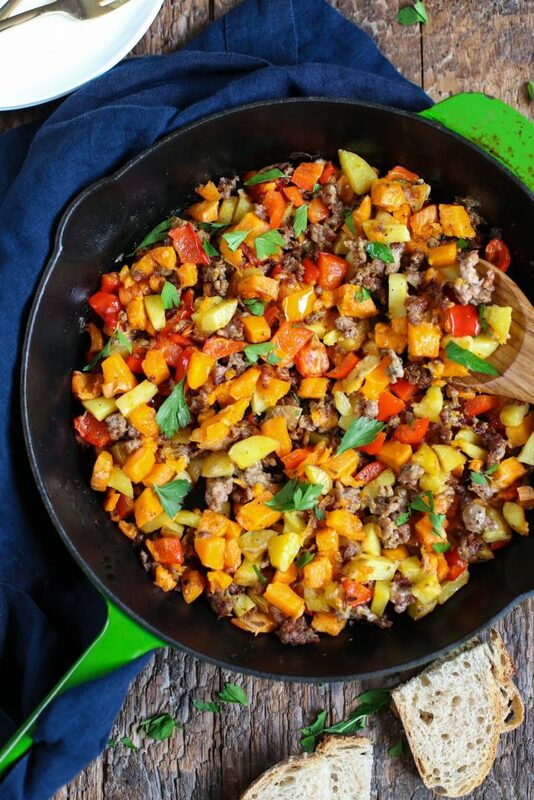 Does the sausage in this recipe need to be pork to “season” the cast iron pan? Or can I use a chicken breakfast sausage? Hey Stephanie, You could use chicken breakfast sausage. You’ll probably need extra oil, since the chicken sausage won’t have the same fat content.